I really didn’t realize that i had a problem until i got older and i was being referred to as “Courtney Clean” by all of my friends and their parents. I’ve never had a hobby before, but if you consider cleaning one, its totally mine! I mean, it is the one thing i can do while angry that actually makes me happier. It just so happens that my husband and i started our very own cleaning company just about 4 years ago! We mainly started our business to provide a professional window cleaning service to our valley, but it didn’t take long for myself to jump in and tackle some big jobs that he couldn’t do alone. Now, we proudly work together as husband and wife cleaning all sorts of things. Windows, gutters, downspouts, roofs, moss, vacation rentals, move ins- outs, you name it: if its been known to be dirty chances are we’ve cleaned it! 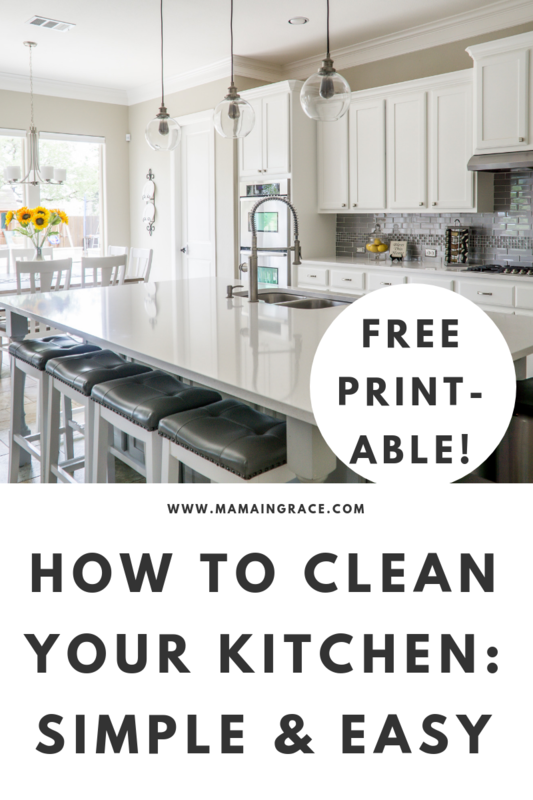 Over the years of cleaning over & over, i have learned some tricks of the trade which helps me in my efficiency, especially being a mama to 3 now! Efficiency is my best friend! *Between expired foods/condiments and stuff spilling all the time, cleaning the fridge seems to be one of the most ignored tasks in the kitchen! Which is crazy to me because how many times a day do you open it up and look at it? Does it ever have an effect on your appetite? Clearing out expired stuff and using a hot sponge or dish rag to wipe off shelves makes a big difference. *I say the oven is one of the hardest to clean because everything that spills deep inside of it keeps getting baked and re-baked. If your like me, the self cleaning option isn’t always an actual option. The smell is terrible, and to me, it takes way too long. To clean a filthy oven as quick as possible, i like to spray vinegar all over and then sprinkle baking soda wherever i can. After i let it sit like that for about 10-20 minutes, i like to use a paint scraper and scrape all the crud off the bottom. When all the crud is peeled up, spray again with vinegar and scrub the areas that need to be scrubbed ( like the glass window) with a steel wool pad. *Cleaning microwaves is another one of those that don’t seem to get done as often as they should. Do you use lemons a lot in your house? Before throwing a lemon wedge out that is already had the juice squeezed out of it, put it in your microwave for about 30-60 seconds ( depending on your microwave) and wipe clean with a paper towel! No chemical cleaning is the best, and extremely effective; shockingly! *Most of us don’t think about cleaning the dishwasher because its uses are to wash dishes. Unfortunately the drain gets full of gunk and needs to be cleaned out frequently. To properly clean the drain in your dishwasher if its too difficult to figure out by looking at it; look up the make and model of yours and see if you can find an easy how-to. Most of them of are easy to clean, but every one of them is different! Don’t forget to wipe along the edges of the door where water gets trapped. I’ve noticed a lot of dishwashers start to grow mildew in hard to see places. **Most drains in dishwashers are best cleaned with a mixture of salt, baking soda, and vinegar! *Did you know that your kitchen sink has more germs in it then your bathroom?? Yuck, right? Its not just your cutting boards and your sponge or rag you use to clean your counter tops. Its your kitchen sink, too! The best thing that i like to use to clean my kitchen sink is Soft Scrub with bleach in it. This works great for porcelain and for stainless steel! For Stainless steel i like to use a steel wool pad as well and rub in circular motions. ***Remember to throw your steel wool pad away after every use because once it grows rust it WILL scratch! *Floors are always the last thing to be cleaned. Depending on what type of flooring you have, your options for cleaning may be different. If you are like me, you like to clean your floors on your hands and knees to clean the baseboards and floor together. Not gonna lie though, ever since becoming a mom i use my Shark steam mop after a quick sweep a heck of a lot more! If your going to use a chemical based floor cleaner, my favorite is the purple Fabuloso! It never fails, i always get a compliment on how good it smells after cleaning with it! If you aren’t keen on using chemicals at all, i highly recommend using a hot water and vinegar mixture–this works well for wood floors too! Interested in a free printable? Lemon. I cant believe i am saying this: but until i met my husband, i never purchased lemons at the grocery store! I never realized how many uses they have and my mom never used them, so why would i?! Lemon is one of my favorite natural things to use to clean. The acid in it seems to break things down fairly quickly. My #1 trick with lemon is using them to clean drains and garbage disposals! Seriously, try grinding your wedges up in your garbage dispenser..It cleans it SO well! Rubbing Alcohol. Have you ever tried super hard to get a stain or something sticky off of something?? Me too. Rubbing alcohol is a life saver for things like that, but my favorite use for it is to clean my micro suede with it! It literally makes it look brand new! LA’s Awesome Cleaner. I feel like i am giving away a big secret by sharing this with y’all. But, this stuff is too good not to share! You can find a big bottle of concentrate at the freaking Dollar Tree!! This is one of my faaaaav multi-purpose cleaners because its so cheap and so effective! For many reasons. *If i get enough requests for it, i will make another post on my uses for LA’s Cleaner AND how i use it to make my very own carpet shampoo. Which, by the way, works better than any other carpet shampoo i have ever used! That is all i have for this post, but i’m sure i will be doing another one that is similar to this one, because this was really simple for me to write.